After so many trips to Maryland, I finally realized that the suburbs have their own pit beef outposts. This Baltimore specialty has stayed very close to home, unlike some specialties like cheesesteaks. But food often travels with people as they move from the city to the suburbs. 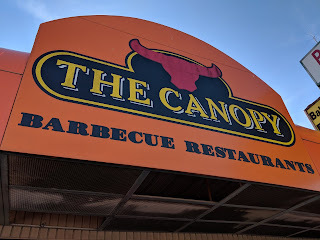 The Canopy was an excellent choice for my first sampling of this wonderful sandwich. The proprietor was very friendly and explained that they have been in business for over 30 years. The place is small. Most of the business is takeout but they do have a small counter. I ordered the classic pit beef sandwich with rare, thinly sliced beef. 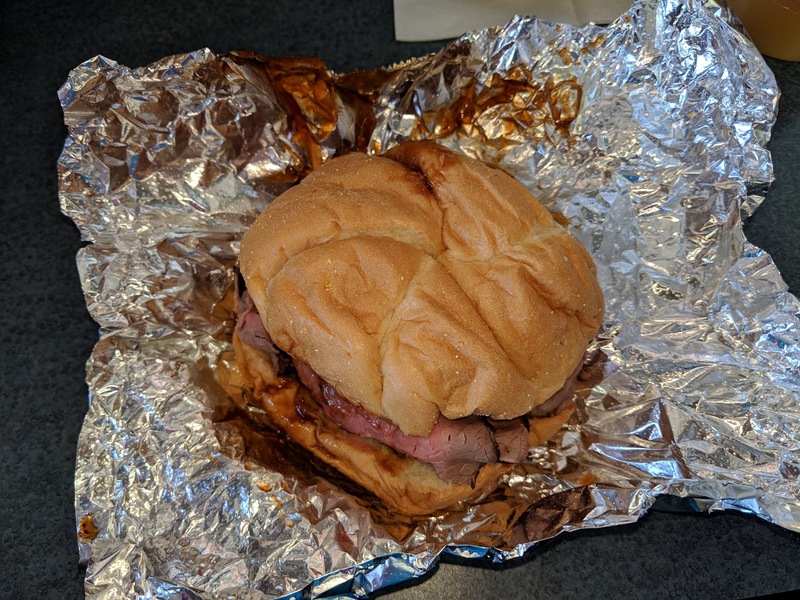 I followed the owner's suggestion on topping: horseradish, the homemade BBQ sauce, and sliced onion. That combination was excellent: a bit of sweetness, a touch of heat, just enough sauce to keep things moving. The beef itself was tender and juicy. The bun was just right---it provided both support and a bit of carbohydrate but didn't overwhelm the star of the show. The fries were similarly excellent. I went with the cheese sauce dip. 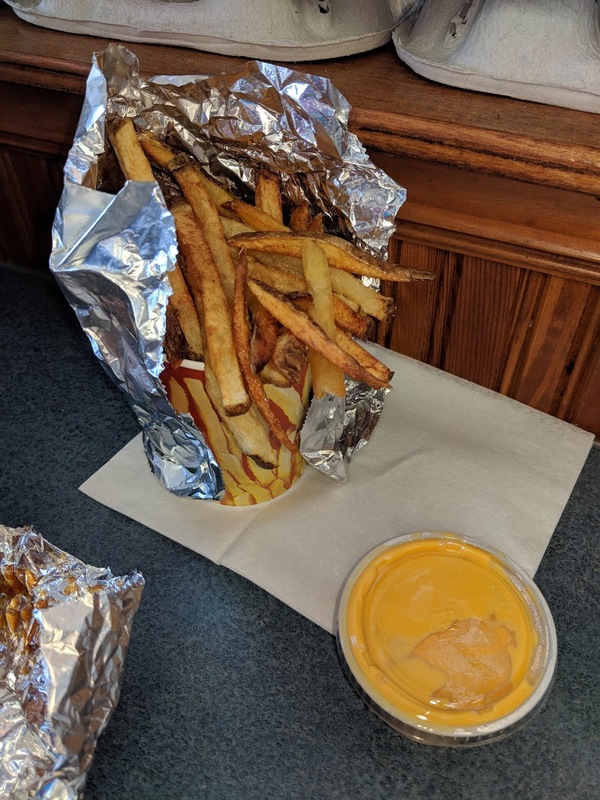 As much as I wanted to disapprove of American cheese, I found this dip to go very well with the fries. The tangy bit of the cheese sauce complemented the starch of the potatoes. This was an excellent meal. I may have to exercise more to justify eating this but I plan to return.